Companies are using G Suite by Google to boost productivity while ensuring efficiency & security in carrying out office-related tasks. G Suite by Google has been proven to be an essential tool for business growth. This online productivity tool is used by some of the largest companies in the world for streamlining office tasks. With this cloud-based platform, companies can boost their productivity while ensuring efficiency and security in carrying out office-related tasks. 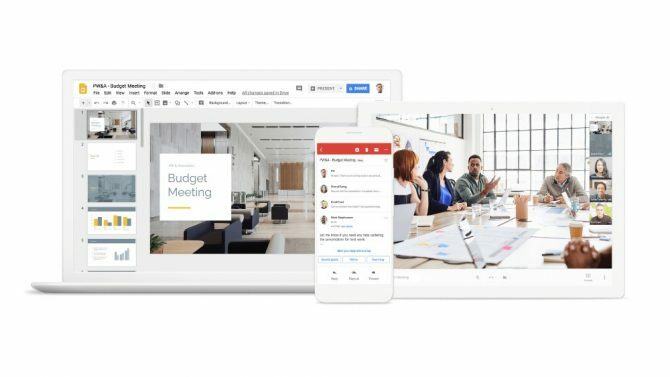 Formerly called Google Apps for Work and Google Apps for your Domain, G Suite is a platform created by Google to integrate office applications. Through this cloud-based platform, companies can connect colleagues from any part of the world; create reports, spreadsheets, and other documents; store and access file safely; and manage users, devices, and data with ease. It is composed of apps offered by the tech giant to their customers for free, which includes tools for connecting with colleagues (Gmail, Calendar and Hangouts, Google Drive); for creating documents for projects (Google Docs, Sheets, Forms, Slides, Sites, App Maker, Keep and Jamboard); storing and accessing files (Google Drive and Cloud Search); and managing the accounts of users (Admin, Vault, and Mobile). When used together, these online applications form an integrated office intranet that goes beyond office walls and national boundaries through the use of Internet and cloud technology. According to Openxcell, a software development company, around 3 million businesses use G Suite because they enjoy several advantages. Primarily, using service allows businesses to save considerable amounts of money. Unlike the traditional office-based intranet where companies need to invest thousands of dollars for hardware and software, companies only need to pay a very minimal fee (as low as $5 per user for small businesses to $25 per user for large enterprises). Google also offers a free 14-day trial for all users. Apart from lower costs, companies can also enjoy efficient team collaboration, data security, streamlined communication, and better organization of files and digital assets by using this Google platform. Companies coming from diverse industries and countries are using this service for their daily operations. On the G Suite site, Google listed a number of large businesses that benefit from this cloud-based service. Salesforce, the cloud-based software company headquartered in California, has been using G Suite to save millions of dollars every year in backup costs. Nearly 30,000 Salesforce employees use the apps for communication and document creation. Colgate-Palmolive, the consumer product manufacturer, also uses the apps to enhance collaboration for its 28,000 employees. The market research firm, Nielsen, also benefit from the service in improving collaboration by transferring its productivity apps to the cloud. This move has allowed its employees to work anytime, at any place, and on any device. Broadcom — the semiconductor manufacturer and infrastructure software solutions company —also uses Google’s cloud-based productivity tools to achieve its goal of reducing costs and shortening product development cycles. Aside from using productivity apps like Docs and Sheets, the team members also use Jamboard and Hangouts for collaboration. Other companies that invest in G Suite include All Nippon Airways, BBVA, MediaNews Group, Mobile One, Rentokil Initial, The Roche Group, The Weather Company, and Whirlpool. Government agencies like the City of Los Angeles, Clarkstown Police Department and UK Ministry of Health also use Google’s apps.